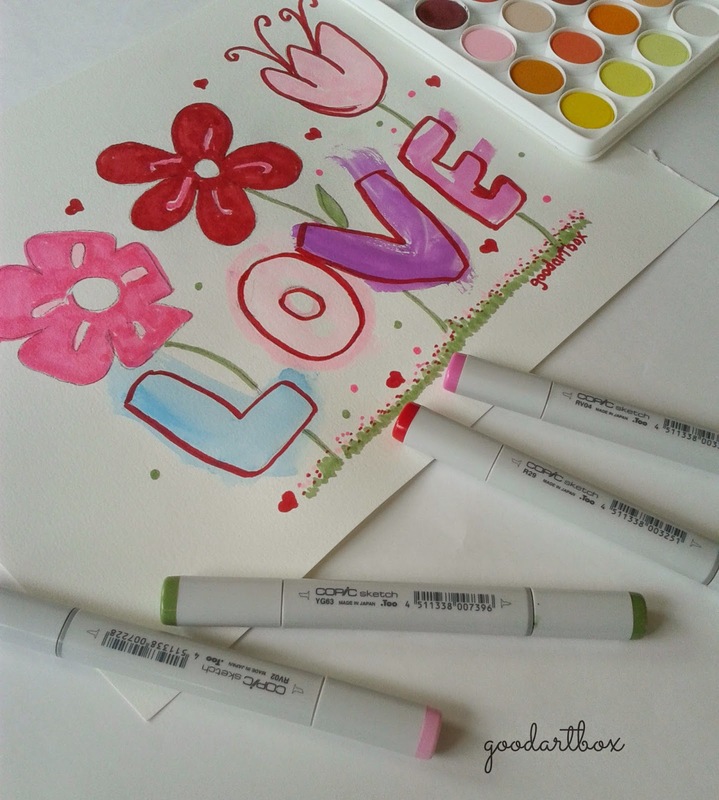 Since starting this blog, I have learned about calligraphy pens, crocheting, and copic markers just to mention a few of the artful things that I am learning. Art encompasses so much. I discovered that copic markers are the markers used for things like cartoons, greeting cards and animation movies. The colors are vibrant and rich. 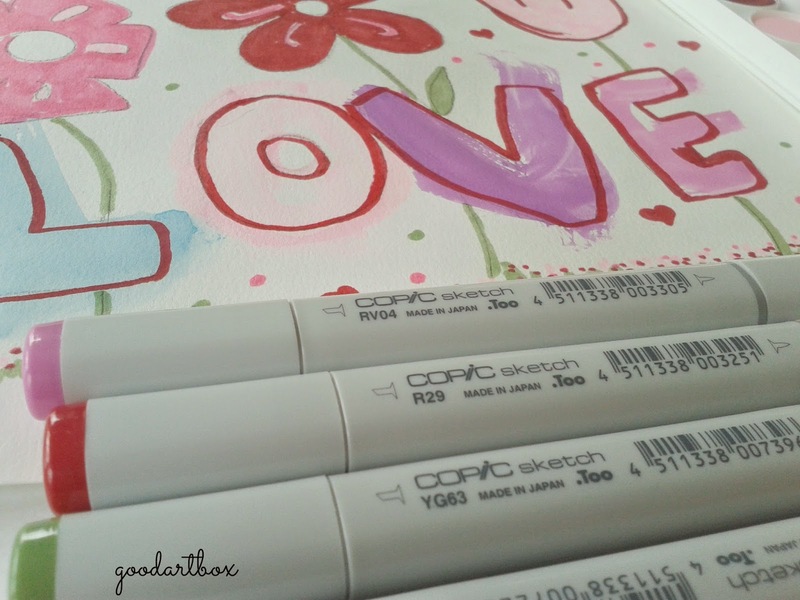 When used with other Copic markers, your art becomes almost life-like. So what do I find today at Michael's Arts and Craft Store? You guessed it! 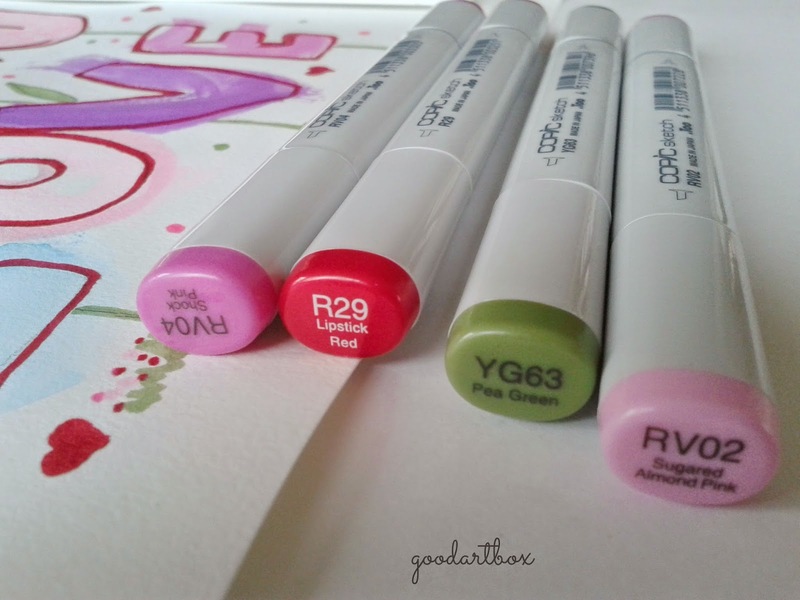 Copic Markers! Today I picked up four. I will get more later. They were $7.99 each. Being into art with this much focus is going to take some getting used to as far as spending money on materials. I am looking at everything I purchase these days as an investment into developing my artistic side. When I got home, I used one of my daughter's watercolor paintings to kinda outline and highlight and just kinda figure out the Copic Markers. What I discovered was, the markers have two usable ends. Actually the tips of the markers are called nibs. One end is called the Super Brush and the other end is called Medum Broad. This was my first attempt with these markers and all I can say is "I like!!!" 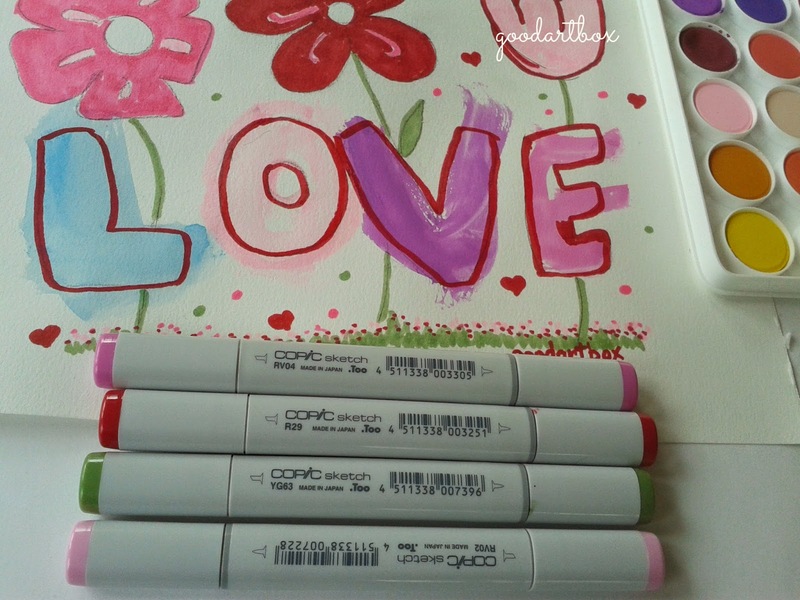 Are you familiar with copic markers ? If so, have you created anything with them?